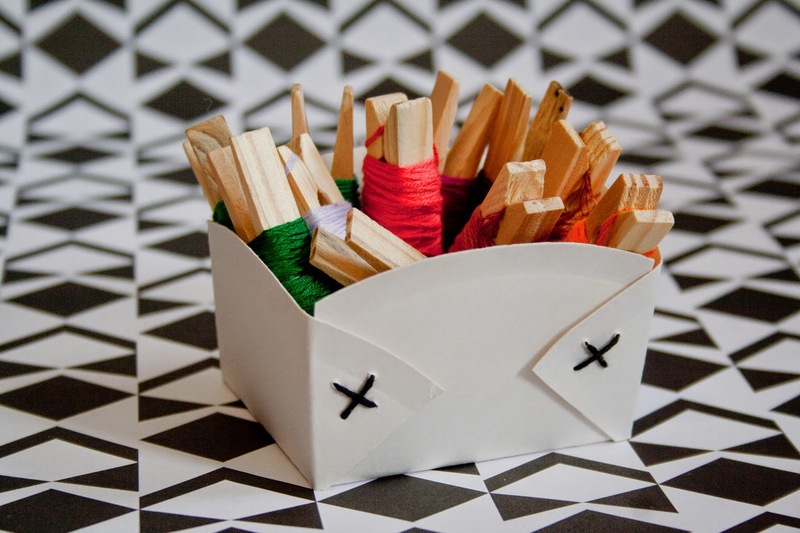 This project isn't very innovative as paper plate baskets are, well, all over the Internet. But of course I couldn't resist the simplicity of it all and had to try it out! It does work. No surprise there. I tried to give my paper plate baskets a new twist by cutting of the rippled edge and by sewing it together instead of using glue or masking tape. I really like the simple classiness of my paper plate baskets. Cut off the paper plate's rippled edge. Cut and fold the plate like shown in the picture. 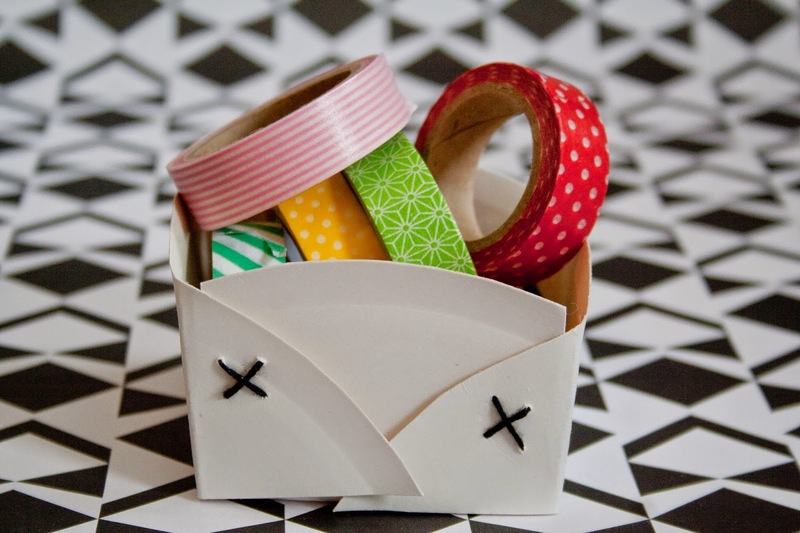 [3-4] Fold the basket and stitch a simple "X" to secure the side parts. All done! 5 minutes and totally inexpensive, just how we love it! 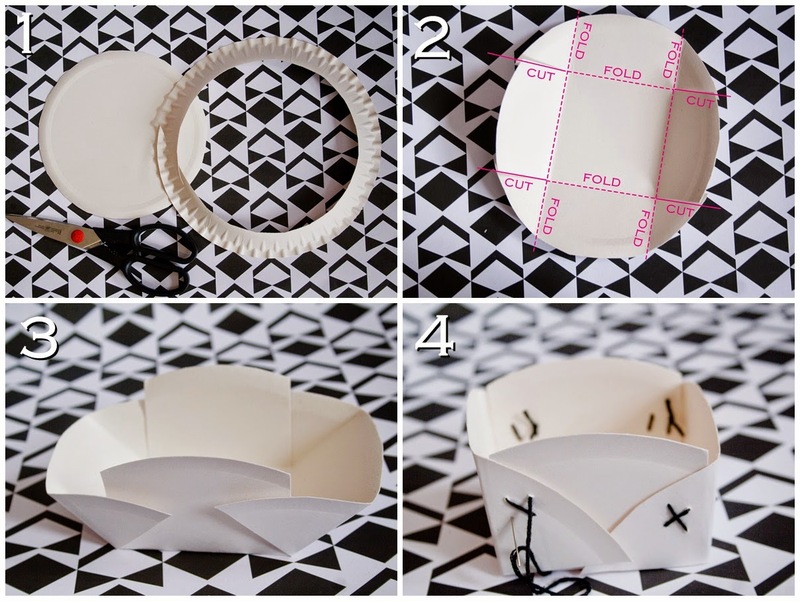 I used a few of these paper plate baskets for my stitching workshop to store the embroidery threads! Also, ich hab's noch nirgendwo gesehen bis jetzt. Ich mag die Idee sehr!! Nice! I think this is very nifty. It is not very innovative, but nevertheless, it’s still a great idea! I also love your photo tutorial as you made it look so simple and easy. I am looking forward to seeing more crafty ideas from you. Good job!